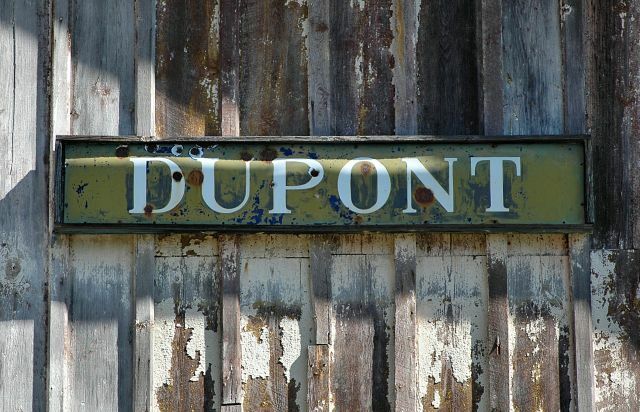 Moved from the nearby railroad line to its present location on US 84, Du Pont’s historic depot is a different kind of landmark today. 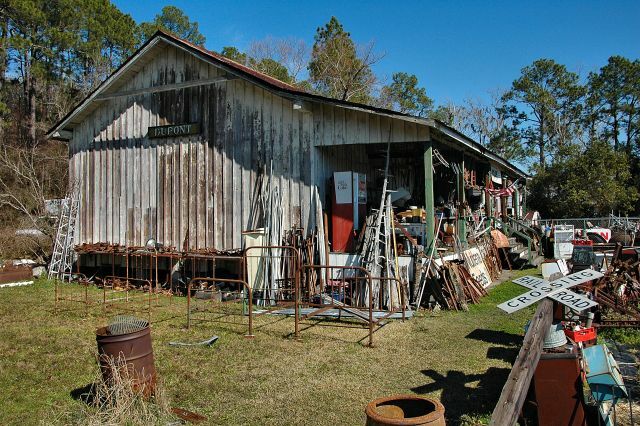 Anyone who’s ever passed by has most certainly noticed the combination antique store/junkyard, filled with rusting porch gliders, bed frames, claw-foot bathtubs, and everything in between. Even the kitchen sink can be found here. Somewhere. 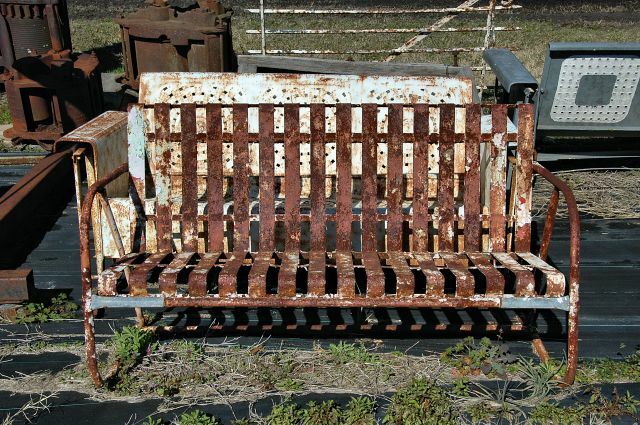 It’s a hoarder’s dream come true, and though many call it junk, it’s a work of art in its own right. 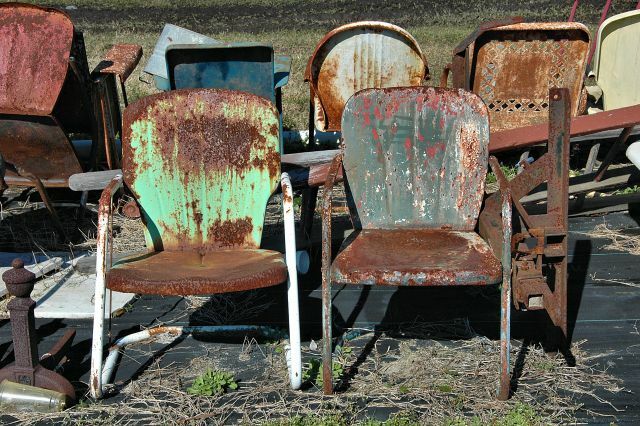 Everyone of a certain age surely remembers chairs like these. 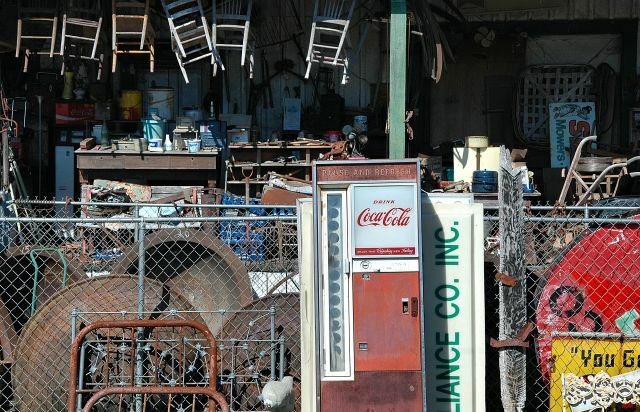 And just in case you need an old Coke machine, they’ve probably got a few lying around.